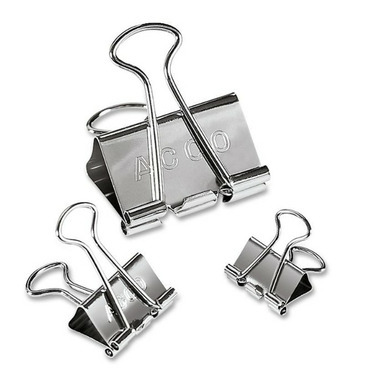 Presentation clips are strong, long-lasting binder clips with a polished silver finish. Tempered steel construction with nickel-coated handles for extra strength. These classic clips leave the right impression when it counts, without sacrificing durability and performance. Combine tough tempered steel and shiny finish, ensuring documents security with elegance. Mini clips handle up to 65 sheets. Small clips handle up to 75 sheets. Medium clips handle up to 110 sheets.